Make sure you post a pic, Goose! They say the mind is the first to go; I'm glad it's something I don't use! I have the fireplace insert loaded up and ready to go. It's forecast to drop down to 37° tonight and to a bone chilling 27° next week. Burrrrr!!! 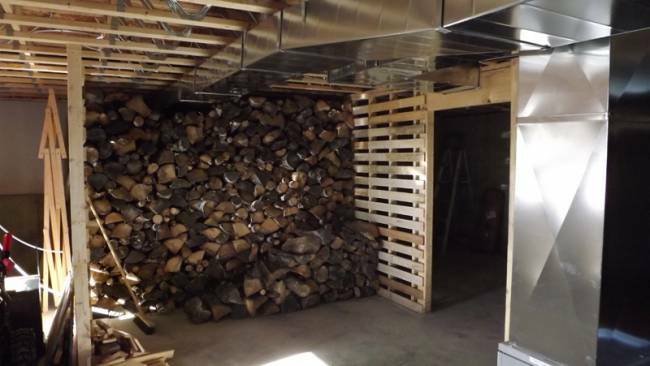 I've added another 1-1/2 cord (two tiers) in the basement wood room since that photo, so 4-1/2 cord in there and 3-1/2 out in the wood racks. It's 80 degrees in the house now. Nice and toasty. Sure enjoy the wood fire after being outside all day, good way to relax and want to go to bed. 41° this morning, I had it ready so I lit er off. We are quite toasty now. DanG'ed if I know?? Just can't seem to bust out of the pattern. This is crazy 'cause I even had to add another stick of wood about an hour ago. Our fire's been burning for a little more than a month now. Mid- 20s and snow last night. I shouldn't have to post a pic; you all can imagine how beautiful our fire is in this weather..... Still not as cold here as where some of our FF Brethren (and "Sistren") are (check out a couple of Willard's latest posts). At this rate Marty is going to be on his own for a floor - you're gonna need that big un to stay warm in the coming ice age!! Nah, Willard is set up beside the school kids Lemonade Stand and doing a Stop-n-Shop....Load-n-Go. I guess I'll have to start up a smudge. It got down to 40 here this morning. If this keeps up I may have to put on long pants. Ah hopes dat ah don't hafta start wearing no shoes!!! Guys, this cold weather has gone crazy. It's forecast to drop into the low 40's or even possibly the high 30's this weekend. I may hafta bring up another wheelbarrow of wood sometime next week. No Long Johns close by, but we have Chick-fil-a in town. I can bring you some if you like. It's been in the 30s here for a while now and down to highs in the 20s some days. Most of the kids are starting to think about switching to long pants to wear to school. We've been down in the 5F range already this month, looks like another one tonight. Warm in here though. I bought one of these, or very similar to it, several years ago and we find it is great to haul firewood from the utility room to the den where the big wood heater is located. I bought mine at TSC. 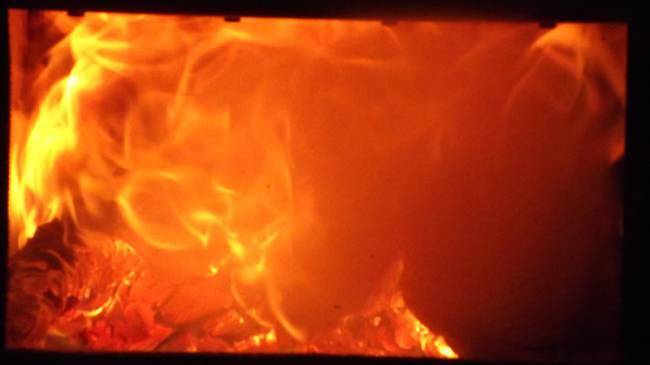 I throw wood through a coal chute door into a raised wood box. This saves me lots of trips to move it once inside the house. I brought up two more trailer loads of wood today, mainly because it was not raining nor was the yard wet so no tracks. Looks like we just might have temps into the 40's all of next week. 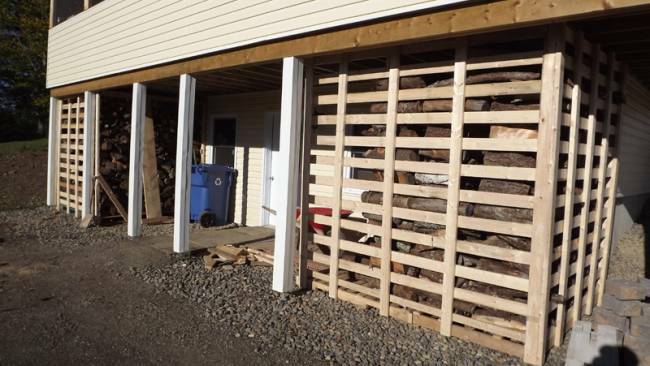 Sveta + Wood Mizer builds a house for 90 days of dry wood! Page created in 1.048 seconds with 39 queries.